Your #1 Solution for Automobile Car SUV Van Truck Tractor Trailer Bud Bugs Treatment in Westchester County! Looking for the BEST Automobile Bed Bug Treatment Westchester County, NY for your Car, Van, SUV, Truck, or Tractor Trailer? Your #1 solution to car bed bug problems, BedBug Chasers Bed Bug Exterminator Westchester County, NY 855-241-6435 “ONE & DONE” Automobile Bed Bug Treatment and Get Rid of Bed Bugs Car Westchester County, NY for all types of automobiles. We provide a Bed Bug Solution which is 100% Guaranteed, Convenient, Discrete and Confidential! If you’re suffering from bed bug problems in a car, truck, or tractor trailer, then it’s time to take action with an experienced Automobile Bed Bug Exterminator Westchester County, NY. BedBug Chasers is your “ONE & DONE” Bed Bug Exterminator that uses NO CHEMICALS and can maintain a temperature range that is sufficient to kill all stages of bed bugs while not damaging your vehicle or its contents. Everything can be treated, including the trunk. Automobile Bed Bug Exterminators – Bed Bugs are Spreading Fast! Call Us 855-241-6435! There is only one Automobile Bed Bug Treatment you need for Vehicle Disinsection. Bed bugs can be found in a huge variety of places. It only takes one bed bug to become a large infestation if left untreated. For example; one pregnant bed bug can turn into 22 bed bugs after 6 weeks, those 22 bed bugs will become 106 bed bugs in 12 weeks, those 106 bed bugs will become 421 bed bugs in 16 weeks, and finally, those 421 bed bugs will become an infestation of over 13,000 in just 6 months! Not only do bed bugs multiply rapidly, but they can also live for over a year without food. Don’t subject yourself, passengers, family or friends to ineffective and sometimes harmful pest control methods. Contact BedBug Chasers, the professional Automobile Bed Bug Exterminators and Vehicle Disinsection experts to solve your bed bug and other insect problems. How can the BedBug Chasers of Westchester County, NY Team help you? If your car, van, SUV, truck, or tractor trailer suffers from bed bugs or other insect then you need the Best Bed Bug Exterminator and Vehicle Disinsection company. 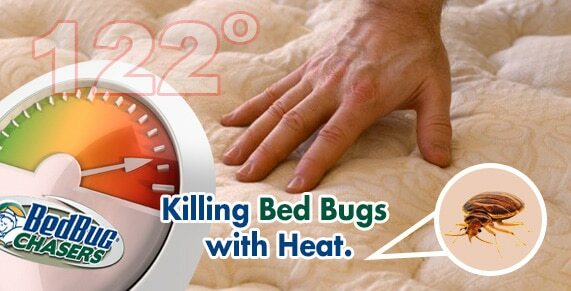 BedBug Chasers of Westchester County, NY is there to solve your automobile bed bug problems. It only takes ONE Automobile Bed Bug TREATMENT and only ONE DAY to kill each and every bed bug, nymphs and egg. BedBug Chasers’ electric heaters are digitally-controlled, maintain close temperature tolerances and are fire-safe. They are also completely fume and toxic chemical free, making them perfectly safe for humans and aircraft, while being totally lethal to bed bugs and other insect! Need a Car, Truck, or Tractor Trailer Bed Bug Exterminator? Call Us 855-241-6435! Not all bed bug exterminators are created equal. If you need an Automobile Bed Bug Treatment, be sure to contact BedBug Chasers. Our heating system is one of the safest in the industry, built in compliance with ISO 9001 standards and our method requires little or no preparation on your part. We arrive at your location in our unmarked vehicles, treat your vehicle and its contents, constantly monitor the temperatures and provide you with a comprehensive report. So don’t look for just any Automobile Bed Bug Exterminator, contact BedBug Chasers today so you can be bed bug free and back on the road!